Pursuing a legal case is often perceived as a daunting, time-consuming endeavor due to the numerous aspects it involves. Accordingly, many victims of asbestos exposure decide against recovering the compensation they deserve out of fear of a never-ending and exhausting process. However, while asbestos cases are indeed complex, it is the attorney and their team who carry out the challenging tasks. If you are a victim of asbestos exposure, we strongly encourage you to take legal action. Our lawyers will permanently offer you assistance and efficiently take care of the demanding aspects on your behalf. With a professional experience of over 20 years, our attorneys have successfully represented thousands of clients throughout the U.S. and are bound to dedicate their time and effort to obtaining the compensation you deserve. The Preliminary Step: Am I Eligible for Compensation? If you suffer from a disease which occurred as a result of occupational asbestos exposure, chances are you can seek financial compensation from asbestos trust funds. Nevertheless, there are multiple factors which may disqualify you at play, such as the duration of exposure or your diagnosis, so the only certain way to find out whether you are eligible for filing a claim is to contact us. This is actually the first step of the process. After assessing the circumstances of your asbestos exposure and the specifics of your current diagnosis, our lawyers will promptly let you know if you have a case. In the event that you do qualify for compensation, we will explain to you how the process is most likely going to unfold for your particular situation, since every case is unique. Transparency is one of the aspects we value above all in relationship with our potential clients. Please feel free to ask any questions and express any concerns you might have with regard to the legal process. We will gladly provide you with the information you are seeking without falsely raising your expectations. Significant occupational asbestos exposure. You must have been exposed to asbestos at your former workplace for a total time of at least 5 years. Additionally, some asbestos trust funds provide that you also underwent asbestos exposure for at least one day prior to a certain year (usually 1983). A formal diagnosis of a disease which is the direct result of asbestos exposure. There are several illnesses asbestos trust funds pay out compensation for, the most known being lung cancer, asbestosis, and mesothelioma. It is worthy of note that they have another requirement in this respect: your disease must have had a latency period of at least 10 years. In other words, if you became ill within less than 10 years from your first asbestos exposure, you do not qualify for filing a claim. Statute of limitations. Unfortunately, the time you have to seek compensation is limited. Cases involving asbestos exposure fall into the category of personal injury cases, which means they also have a statute of limitations. Although filing a claim with asbestos trust funds is different than filing a lawsuit, the statute of limitations still applies. The statute of limitations for asbestos cases ranges between 1 and 6 years from the moment you receive your asbestos-related diagnosis. It is distinct for each state. However, which statute of limitations applies to your case may not depend on where you live – sometimes, it is the statute of limitations effective in the state where your former employer was located. It is critical to submit your asbestos claim before this period of time elapses, otherwise it will not be taken into account and you will lose your right to compensation. Nevertheless, if you suffer from a disease as a consequence of workplace asbestos exposure but do not meet the requirements above, contacting our lawyers is still worth a try. Since every case of occupational asbestos exposure is different, there might be a key aspect to your situation which could make you eligible for financial compensation nonetheless. While your involvement is crucial for a favorable outcome, you should not be concerned about having to invest countless hours in the legal process. We will efficiently handle the better part of it so that you can dedicate your time to more important aspects, such as your health. Research is without a doubt fundamental when it comes to preparing your asbestos claim. Our experts will conduct elaborate research to discover additional details concerning the circumstances of your exposure and your former employer. What we find may prove to be instrumental in achieving the optimal results for your case. Due to the long latency of their illness, asbestos victims typically seek compensation several decades after exposure took place. Thereby, it is often very difficult – if not downright impossible – to remember every aspect concerning your occupational asbestos exposure and a lot of essential details might be left out. After we gather sufficient information to include in your asbestos claim, our legal team will efficiently take care of the necessary paperwork before submitting it. We will also double-check your employment records and medical documents to ensure they support the causal relationship between asbestos exposure and your diagnosis without fault. If multiple companies were responsible for your exposure, you are eligible for financial compensation from each one's asbestos trust fund. For this reason, our research will also seek to discover whether there were any other asbestos companies whose products you were in contact with at your former workplace. Should you qualify for filing a claim with multiple asbestos trust funds, the amount of compensation you will receive may grow substantially. At the end of the preparation phase, we will ask you to sign affidavits documenting your exposure and your attorney will subsequently submit your asbestos claim to each asbestos trust fund you qualify for, along with your documents. Following submission, we will wait for the board of trustees, who are responsible with processing asbestos claims and paying out eligible claimants, to approve your compensation request. Each asbestos trust fund operates by a different set of rules and pays out only a certain percentage of the entire compensation you are eligible for, depending on the financial resources they have, as well as on your diagnosis. Consequently, both the waiting time and the amount of compensation you will receive vary from asbestos trust fund to asbestos trust fund. Do not set your expectations too high. Asbestos trust funds pay out compensation to claimants using the First In, First Out (FIFO) accounting method. Therefore, people who filed asbestos claims in 2014, for instance, are going to receive compensation before those whose claims were submitted more recently. The waiting time also depends on the size of the asbestos trust fund in question and on the number of claims it has to process, as well as on how fast the board of trustees is able to review them. In general, local asbestos trust funds have between 2,000 and 3,000 claims awaiting review every year, whereas larger ones receive approximately 50,000 claims annually. Accordingly, while some asbestos trust funds will pay you shortly after claim submission, others may take up to 2 years before providing you with compensation. While individual review often provides claimants with more compensation, liquidation ensues within a longer period of time if this option is chosen, as the board of trustees must thoroughly assess your personal circumstances and the documents accompanying your asbestos claim. How your claim should be submitted is a question only a lawyer specialized in asbestos cases will be able to answer, since there are numerous aspects which need to be carefully taken into account and each situation requires a unique approach. Having a lawyer with vast experience in handling asbestos exposure cases prepare and submit your claim is the most effective way of recovering financial compensation. They will be able to speed up the legal process considerably and make well-informed decisions with regard to how your asbestos claim should be submitted and the evidence necessary to support it, which is bound to provide you with the maximum compensation you can recover in the shortest time possible. If you were diagnosed with a life-threatening disease as a result of occupational asbestos exposure, the cost of the legal process should be your last concern. The majority of attorneys who handle asbestos cases offer consultations free of charge and work on a contingency fee, which means you do not have to pay anything unless they recover compensation for you. Whether you file a claim with asbestos trust funds or a lawsuit against the liable company, the risk of losing money is practically non-existent. Our standard fee is a 40% contingency fee. Which means we only collect the fee when we are able to collect compensation through a settlement or a verdict for a client. If we do not collect anything, our clients do not pay anything out of pocket. The vast majority of people who are struggling with asbestos-related diseases were exposed in the workplace several decades ago. If you were diagnosed with mesothelioma, lung cancer or asbestosis but do not exactly know where exposure occurred, a law firm specializing in asbestos cases can help you pinpoint the exact circumstances. Most reputable asbestos law firms collaborate with occupational medicine experts, who will be able to determine whether your exposure happened on the job and identify the asbestos-containing products you were in contact with. While it is true that the process of preparing a claim can take several months, as there are numerous aspects your lawyer needs to take care of, you will generally receive compensation from asbestos trust funds within 3 to 6 months after submission. This is why it is very important to seek legal help as soon as you are diagnosed. For clients who are in particularly poor health, there is the option to submit the asbestos claim via Expedited Review, which – provided they bring sufficient evidence to support exposure – will speed up the process considerably. In the case of veterans exposed to asbestos while serving in the military, it is not the government who will be held responsible if the injured person decides to file a lawsuit. The company which manufactured or sold the asbestos products in question will have to provide compensation for their illness, instead. Veterans also have the option to seek financial compensation and other benefits for themselves and their families from the U.S. Department of Veterans Affairs. By filing a VA claim, veterans who developed asbestos-related diseases can obtain special monthly compensation, health care benefits, disability compensation, as well as dependency and indemnity compensation. Filing asbestos claims might seem like a simple, easy to navigate process, but in reality, it requires specialized knowledge, extensive experience with the legal system, as well as a lot of careful research. Therefore, only a lawyer who handles exclusively asbestos cases – preferably with several years of experience – will be able to provide you with the assistance you need. Regardless of how complex your situation is, a competent, well-versed attorney and their legal team will know how to attend to any unforeseen issue and speed up the process so that you can receive the money you deserve. Your health should always come first, especially when you suffer from such a serious and distressing disease as those caused by asbestos exposure. However, you should know that the time you have to recover compensation from asbestos trust funds is limited and taking legal action as soon as you receive your diagnosis is essential. The statute of limitations, which is different for each state, prevents you from filing an asbestos claim if a certain time limit is exceeded. Seeking compensation within the first month of your diagnosis is crucial, especially if the statute of limitations for your case is short. If you work with a lawyer who has relevant experience in filing asbestos claims, you will not have to worry about not having enough time for your doctors' appointments and treatment, as they will efficiently take care of most legal aspects and documents for you. No representation is made that the quality of the legal services to be performed is greater than the quality of legal services performed by other lawyers. This web site is designed for general information only. The information presented at this site should not be construed to be formal legal advice nor the formation of a lawyer/client relationship. Copyright © Environmental Litigation Group P.C. All rights reserved. 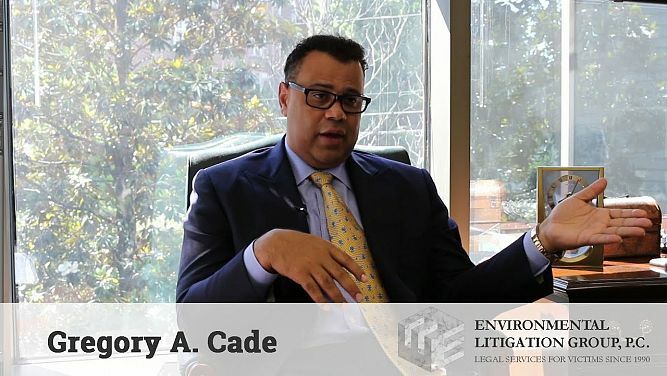 This page was last updated on April 13th, 2019 PST by Gregory A. Cade at Environmental Litigation Group, P.C.